I love Disney. That's not big news to anyone. 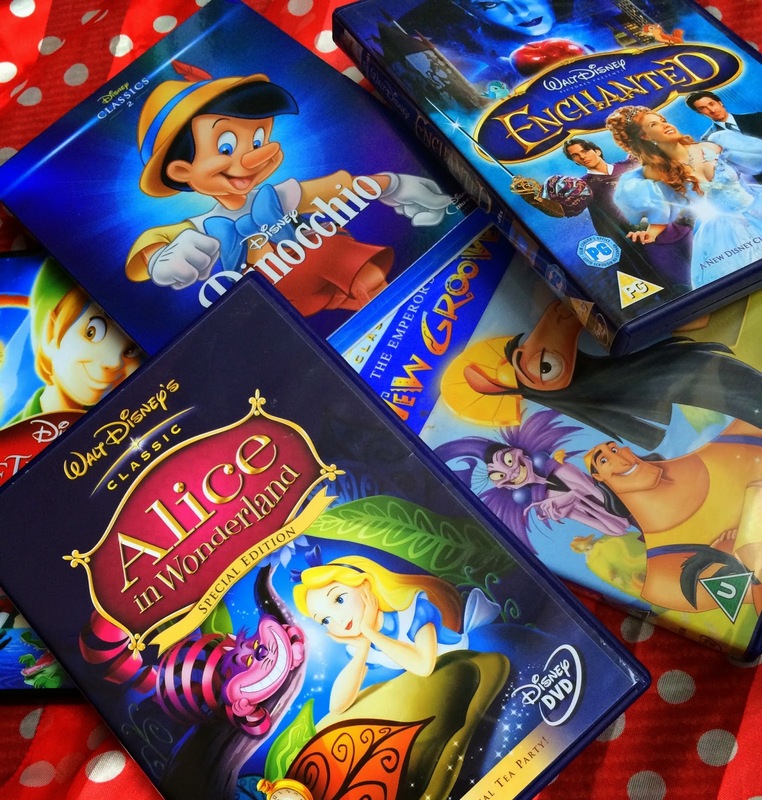 Of course I grew up watching the Disney Princess films like the Little Mermaid and Beauty and the Beast. I imagine this was the case for most girls but I loved so many others too. When I was about 6 I went through a phase of watching Pinocchio every day. Mason is really into Disney too -it was only natural with him being my child! He loved Frozen when it came out -it's not just for girls! (though I think it is a really over rated Disney film -unpopular opinion!) And all of the Toy Story films have been watched to death! While he was watching it I got thinking about the other Disney films that just don't get the attention they deserve. I posted about my favourite Disney Films a while back but here's a few others that I think are great. Peter Pan - I think I love this so much as it's set in London but the story goes back years and it's lovely to watch. Pirates and lost boys teaching a girl to live a little. It reminds you to hold on to your youth while you can. You've got the rest of your life to grow up! Emperors New Groove - I didn't actually discover this til I was about 17! My friend Amy had seen it and found it hilarious, knowing my sense of humour is the same as hers she messaged me to tell me I needed to see it. She wasn't wrong. Emperor Kuzco is extremely arrogant and learns a big lesson after being turned into a llama -now can you ignore a plot like that?! It's really funny and always makes me smile. I actually contemplated getting a cat and naming it Emperor Kuzco once! Probably for the best I didn't! Enchanted - I remember seeing this at the cinema and thinking it was the best film I'd seen in a long time. It makes me grin ear to ear the whole way through. The songs are catchy and the way the story goes between carton and real life is really clever. There's some familiar faces in the cast and even cameos from the voices of Belle, Pocahontas and Ariel. If you love the Disney princess films you'll love it. Pinocchio - Like I said, this is a big childhood favourite of mine an I'm so glad Mason enjoys it too. Another one full of lessons, go to school, don't talk to strangers, don't get made into a child star and let someone else benefit from it... oh and the don't lie thing. If you weren't sure on this one as a child I really recommend you give it another try -I really like it. Alice in Wonderland - This film fascinates me. Alice's Adventures in Wonderland is one of my favourite books and even studying poems from it at school interested me. I can really relate to Alice, I wrote a post about it here actually. There's some great characters to love and hate, Tweedle Dumb and Tweedle Dee are really funny (if not slightly irritating if you're lost and trying to get home) and I've met a few people in my time that are just like the flowers. I enjoyed the film version but the cartoon will always have a place in my heart. What Disney films do you think are under rated? I love Brave, I think its really underrated! I haven't actually seen that one! I love it. Yea it's definitely Disney. I just checked the pic at the top. Ah I haven't seen Robin Hood in ages! Myself and a few friends had a pamper night on Sunday and watched The Emperors New Groove as well as Kronks New Groove, they're SO GOOD! Kronks New Groove especially, it had so many clever puns and refrences to classic movies. I only saw Kronks New Groove once so I need to revisit that. I need to buy myself the Aristocats. It's so funny, it really makes me laugh! I love the Lion King -it really makes me cry though! I feel like princess and the frog was a really underrated one too! It was soooo good though. Who doesn't love Peter Pan? And who doesn't want to hold onto their youth? exactly! Peter Pan is great!